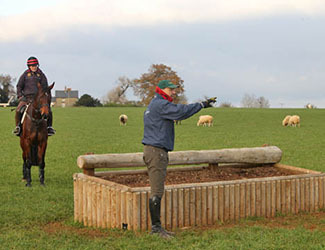 Bill is a highly experienced coach, and enjoys teaching riders of all standards. Options range from attending a clinic to basing yourself and your horse at Little Charingworth – either for a few days or for longer. Bill can help you work towards your goals, drawing up a specific plan for you and your horse, covering both flat work and jumping. He also takes on long term coaching posts, and gives clinics both around the UK and overseas. See the drop down tabs for more information.